Introduction: To evaluate and compare various physicochemical properties of different root canal sealers. Materials and Methods: Three root canal sealers, AH Plus, Endosequence BC sealer, and mineral trioxide aggregate (MTA) Plus were evaluated for their flow, radiopacity, dissolution, and coronal discoloration. The flow test was based on the section 7.2 of the International Organization for Standardization 6876. For radiopacity, test specimens were radiographed next to aluminum step wedge. Dissolution of all the sealers was evaluated in chloroform and Endosolv E for 2, 5, and 10 min. Finally, coronal discoloration was assessed using the CIE Laboratory color system at 1 day, 1 week, 1, 2, and 4 months period of time. Results: AH Plus showed the maximum mean flow (29.00 ± 0.75) mm followed by MTA Plus: (21.75 ± 0.75) mm and Endosequence BC sealer: (21.00 ± 3.19) mm. AH Plus showed maximum radiopacity, i.e. 221.25 ± 10.64 gray value followed by Endosequence BC sealer, i.e. 187.83 ± 8.24 gray value and MTA Plus with 180.34 ± 16.85 gray value. In dissolution, the best solvent at 10 min was chloroform. Among the sealers, MTA Plus was least dissolved followed by AH Plus and Endosequence BC sealer was the most. Endosolv E was the better solvent for Endosequence BC sealer. In coronal discoloration experiment, MTA Plus caused the most coronal discoloration at 4 months, i.e. ΔE 4.80 ± 1.01, while AH Plus caused the least amount of discoloration, i.e. ΔE 3.84 ± 0.92. Endosequence and MTA Plus caused clinically perceptible discoloration. Conclusion: Within the limitations of the present study, it can be stated that the tested sealers can be used clinically with a successful outcome as they have favorable physicochemical properties. Keywords: AH Plus; discoloration; dissolution; Endosequence BC sealer; flow; mineral trioxide aggregate Plus; radiopacity. Endodontic sealers are used in the obturation of root canal systems to achieve a fluid-tight seal between the core material and root canal walls. Grossman  had mentioned ideal requisites for root canal sealer. Based on the chief component, sealers are classified as zinc oxide eugenol, calcium hydroxide, resin, glass ionomer, iodoform or silicon, and recently mineral trioxide aggregate (MTA) type. MTA is a powder containing mineral oxides, and it is indicated for a variety of applications in endodontics. When MTA is used as a sealer and is compacted against dentin, a dentin MTA interfacial layer forms in the presence of phosphate. This adherent layer resembles hydroxyapatite in composition when examined under X-ray diffraction and standard error of the mean analysis. AH Plus is a hydrophobic epoxy resin-based sealer that has been used as the gold standard for comparisons with other endodontic sealers. Recently, Endosequence BC sealer (Brasseler USA, Savannah, GA), previously known as iRoot SP (Innovative Bioceramix, Vancouver, Canada), has been introduced which requires the presence of water to set and harden. MTA plus is another calcium silicate based material (Prevest Denpro, Jammu, Jammu and Kashmir, India), which has finer particle size and comes with the gel vehicle that improves its handling characteristics and physicochemical properties. As the flow causes the sealer to penetrate into irregularities of the root canal system, it is an important property. Tooth discoloration due to root canal sealers contrary to the ideal requirements has been reported. Even if the treatment is highly successful, sometimes, retreatment becomes necessary. The techniques used to remove the root fillings include hand, mechanical, ultrasonics, and heat and laser irradiation either alone or in combination with solvents.,,, Radiopacity is another important property of endodontic sealers as they should be radiographically distinguishable from the surrounding anatomic structures for proper evaluation. Thus, the purpose of this study was to evaluate and compare the various physicochemical properties of various sealers using different methods of testing. The flow, radiopacity, dissolution in solvents, and coronal discoloration properties for Endosequence BC sealer (Group 1), AH Plus (Group 2), and MTA Plus (Group 3) were assessed according to the International Organization for Standardization (ISO) standards for root canal sealers. All sealers were manipulated according to the manufacturer's instructions. Based on the Section 7.2 of ISO 6876, 0.05 ml sealer was dropped onto the glass plate. At 180 ± 5 s after the beginning of mixing, the second glass plate was placed centrally on top of the sealer, followed by the weight. At 10 min after the beginning of mixing, the weight was removed and the maximum and minimum diameters of the compressed disc of sealer were measured. If the diameters agreed to within 1 mm, the mean of both diameters was recorded. If both diameters were not within 1 mm, the test was repeated. The procedure was repeated two more times for a total of three determinations. The mean value of the three specimens was calculated to the nearest millimeter [Figure 1]. Three test specimens of the sealer with standardized dimensions of 5 mm in diameter and 2 mm in thickness were prepared using the standardized plastic molds. Samples were left in incubator at 37°C for a period three times of the setting time. The samples were then radiographed along with the aluminum step wedge on the charge-coupled device of the RadioVisioGraphy unit. Three radiographs were taken for each sample. Standardized sized areas of each test specimen and for each thickness of the aluminum scale were measured [Figure 1] in gray scale levels on the digital photographs (0–255) with the Adobe Photoshop computer program, version 7.0.1 (Adobe systems, San Jose, CA, USA). The sealer specimens [total 135], with three major groups and three subgroups of 15 each according to the type of solvent 5 mm in diameter and 2 mm in height were weighed in milligrams on a precision scale prior to immersion in the solvent to obtain the initial mass (m1). They were immersed in 20 ml of solvent at room temperature such that both the surfaces of each specimen were readily accessible to the solvent. Distilled water was used as a control. After the specified immersion period, the specimens were removed from the solvent with the help of a tweezer and then blotted dry with the absorbent paper. Then, after rinsing, the samples in distilled water, they were weighed again (m2) after blotting dry with absorbent paper. The amount of lost sealer from each specimen was determined as the difference between the original weight of the sealer and its final weight. The weight difference was measured at 2, 5, and 10 min. Forty freshly extracted, human premolar teeth free of caries, restorations, cracks, and coronal discoloration were cleaned to remove extrinsic stains and debris from the crown surface. The roots were resected 3 mm below the cementoenamel junction using a double-sided diamond disc. The pulp chamber of each crown was mechanically cleaned using Gates Glidden drills, hand H and K files, and then irrigated with 3% sodium hypochlorite solution and normal saline through the apical access opening. The specimens (n = 10) were then randomly assigned to three experimental and one control group. In each group, the mixed sealer was placed into the pulp chambers via the apical access opening using a lentulo spiral filler. A plugger was used to coat the internal walls. Excess sealer was cleaned from the outer surface using a cotton pellet and the apical access was sealed using the composite resin. After the sealing, the samples were stored in an incubator for 7 days at 37°C. The control group was filled with normal saline. ΔE was the amount of color change, L was lightness, a and b described the chroma, in which red was +a, green was −a, yellow was +b, and blue was −b. The statistical analysis was done using Statistical Package for Social Sciences (SPSS) version 21.0 by IBM Inc. statistical analysis software. The values were represented in number (%) and mean ± standard deviation Kruskal–Wallis, Mann–Whitney U-test, and post hoc Bonferroni tests were used. AH Plus showed the maximum mean flow, (29.00 ± 0.75) mm, followed by MTA Plus, (21.75 ± 0.75) mm and Endosequence BC sealer, (21.00 ± 3.19) mm [Figure 2]. The Mann–Whitney U-test showed that there was statistically significant difference (P< 0.05) between AH Plus sealer, Endosequence BC sealer, and MTA Plus, but there was no statistically significant difference (P > 0.05) between Endosequence BC sealer and MTA Plus. According to Kruskal–Wallis test, the statistically significant higher (P< 0.05) mean gray value was shown by AH Plus, i.e. 221.25 ± 10.64 followed by Endosequence BC sealer - 187.83 ± 8.24 and MTA Plus-180.34 ± 16.85 [Figure 2], and among the two, there was no statistically significant difference. AH Plus = 10.05 mm of Al, Endosequence = 6.09 mm of Al, and MTA Plus = 5.85 mm of Al. At 10 min, Endosequence BC sealer showed statistically significant higher dissolution in Endosolv E, i.e. 0.08 ± 0.02 g as compared to other solvents. AH Plus and MTA Plus showed statistically significant higher dissolution in chloroform, i.e., 0.07 ± 0.03 g and 0.04 ± 0.01 g as compared to other solvents. The discoloration caused by the sealers increased with time. At 4 months, there was no statistically significant difference (P > 0.05) between the ΔE values of Endosequence BC sealer (4.40 ± 1.12) and MTA Plus (4.80 ± 1.01), whereas there was a statistically significant difference between the mean ΔE values of the rest of the groups. AH Plus caused the minimum discoloration at 4 months i.e. 3.84 ± 0.92 [Figure 2]. In the present study, the flow of all the tested sealers complied with the ISO requirements, i.e. >20 mm. The superior flow of AH Plus in comparison to the bioactive calcium-based sealers might be due to its resin content which provides plasticity and improves flow.,, This is the first study of its own to check and evaluate the flow of MTA Plus. The finer particle size and the gel vehicle improve its handling characteristics and provide a better flow as compared to previous other MTA root repair products. The finer particle size of Endosequence BC sealer also is responsible for its good flow. The flow measured here was according to the ISO standards usingin vitro method. The drawback of which was that factors such as aberrant anatomical structures on which the flow in clinical scenario depends have not been taken into account. According to the ISO standard 6876, a radiopacity of 3 mm of aluminum is requested for root canal filling materials which were compiled by all the tested materials. Aluminum was chosen as a reference because it can be easily and accurately machined and its linear absorption coefficient is similar to that of enamel, relating the similarity in the variation of aluminum to hydroxyapatite. AH Plus was the most radiopaque sealer with the radiopacity value equivalent to 10.05 mm of aluminum very much in agreement with other previous study by Bodanezi et al. It contains zirconium oxide, iron oxide, and calcium tungstate in good concentration, which are responsible for the high radiopacity values, and out of all, zirconium oxide is responsible for the maximum radiopacity. MTA Plus had radiopacity value 5.85 mm of Al because of bismuth oxide and Endosequence BC sealer with 6.09 mm of Al due to zirconium oxide and tantalum oxide. The drawback is being not taken into account the influence of hard and soft tissue structures. For the dissolution in solvents property, Endosequence BC sealer showed better dissolution in Endosolv E than chloroform because of tetrachloroethylene in its composition. It also showed the better dissolution than AH Plus and MTA Plus. AH Plus was difficult to dissolve contrary to the other studies, but in accordance with study by Erdemir et al., in which none of the techniques or solvents such as chloroform or halothane were effective in removing AH 26 and AH Plus from the capillary tubes within 30 min probably due to their tight adherence to the capillary tube walls. However, chloroform proved better for AH Plus and MTA Plus as compared to Endosolv E at 10 min. Not much has been experimented on the dissolution of Endosequence BC sealer as well as MTA Plus in solvents till now. The ΔE of AH Plus was the lowest 3.84 and the value was just above the clinically significant level, i.e. 3.70. Therefore, it can be argued that the silver ions may not be the sole reason of tooth discoloration caused by AH26 and some ingredients in AH Plus might be the cause of this discoloration. Literature lacks evidence regarding the staining potential of AH Plus therefore more research is required to identify the constituents of AH Plus responsible for the discoloration. At 4 months, the ΔE value of Endosequence BC sealer was 4.40. It caused less discoloration than MTA Plus but more than AH Plus. Very few studies have been conducted on Endosequence BC sealer. In saline group, discoloration might be attributed to the unconverted camphorquinone, which causes a yellowish discoloration. Furthermore, other components of the photoinitiator system, namely tertiary aromatic or aliphatic amines tend to cause yellow or brown discoloration under the influence of light or heat. Out of all the sealers, MTA Plus caused the most coronal discoloration at the end of 4 months, whereas AH Plus caused the least discoloration. Chandra SB, Krishna GV. Grossman's Endodontic Practice. 12th ed. New Delhi: Wolters Kluwers; 2010. Rawtiya M, Verma K, Singh S, Munuga S, Khan S. MTA-based root canal sealers. J Orofac Res 2013;3:16-21. Leiendecker AP, Qi YP, Sawyer AN, Niu LN, Agee KA, Loushine RJ, et al. 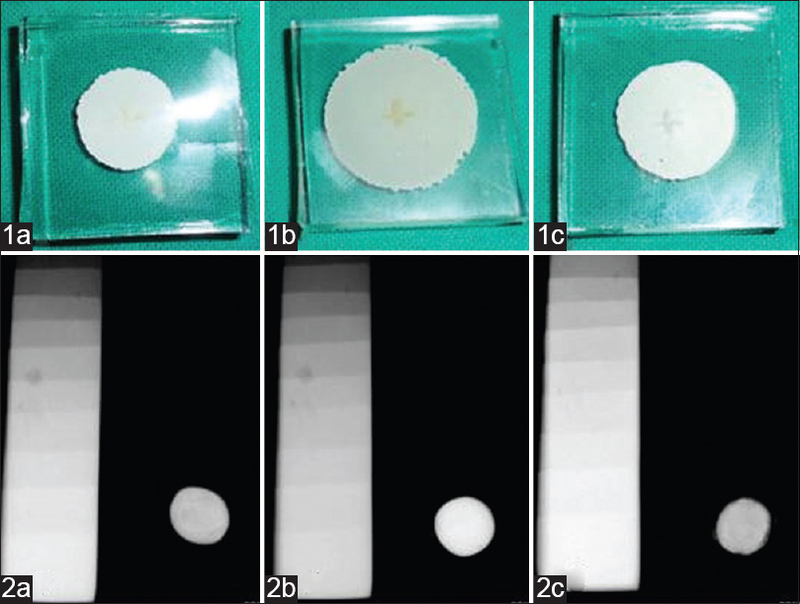 Effects of calcium silicate-based materials on collagen matrix integrity of mineralized dentin. J Endod 2012;38:829-33. Ring J, Murray PE, Namerow KN, Moldauer BI, Garcia-Godoy F. Removing root canal obturation materials: A comparison of rotary file systems and re-treatment agents. J Am Dent Assoc 2009;140:680-8. Ladley RW, Campbell AD, Hicks ML, Li SH. Effectiveness of halothane used with ultrasonic or hand instrumentation to remove gutta-percha from the root canal. J Endod 1991;17:221-4. Ezzie E, Fleury A, Solomon E, Spears R, He J. Efficacy of retreatment techniques for a resin-based root canal obturation material. J Endod 2006;32:341-4. Tachinami H, Katsuumi I. Removal of root canal filling materials using Er:YAG laser irradiation. Dent Mater J 2010;29:246-52. McComb D, Smith DC. Comparison of physical properties of polycarboxylate-based and conventional root canal sealers. J Endod 1976;2:228-35. Almeida JF, Gomes BP, Ferraz CC, Souza-Filho FJ, Zaia AA. Filling of artificial lateral canals and microleakage and flow of five endodontic sealers. Int Endod J 2007;40:692-9. Faria J, Massi S, Crotia HR, Gutierrez JC, Dametto FR, Vaz LG. Comparative assessment of the flow rate of root canal sealers. Rev Odonto Cienc 2010;25:170-3. Siqueira JF Jr., Favieri A, Gahyva SM, Moraes SR, Lima KC, Lopes HP. Antimicrobial activity and flow rate of newer and established root canal sealers. J Endod 2000;26:274-7. Bodanezi A, Pereira AL, Munhoz EA, Bernardineli N, Gomes de Moraes I, Bramante CM. Digital radiopacity measurement of different resin and zinc oxide based root canal sealers. Rev Odonto Cienc 2010;25:74-7. Tanomaru JM, Cezare L, Gonçalves M, Tanomaru Filho M. Evaluation of the radiopacity of root canal sealers by digitization of radiographic images. J Appl Oral Sci 2004;12:355-7. Whitworth JM, Boursin EM. Dissolution of root canal sealer cements in volatile solvents. Int Endod J 2000;33:19-24. Erdemir A, Adanir N, Belli S.In vitro evaluation of the dissolving effect of solvents on root canal sealers. J Oral Sci 2003;45:123-6. Kang SH, Shin YS, Lee HS, Kim SO, Shin Y, Jung IY, et al. Color changes of teeth after treatment with various mineral trioxide aggregate-based materials: An ex vivo study. J Endod 2015;41:737-41. Vallés M, Mercadé M, Duran-Sindreu F, Bourdelande JL, Roig M. Influence of light and oxygen on the color stability of five calcium silicate-based materials. J Endod 2013;39:525-8. Gaintantzopoulou M, Kakaboura A, Vougiouklakis G. Colour stability of tooth-coloured restorative materials. Eur J Prosthodont Restor Dent 2005;13:51-6. AH Plus; discoloration; dissolution; Endosequence BC sealer; flow; mineral trioxide aggregate Plus; radiopacity.